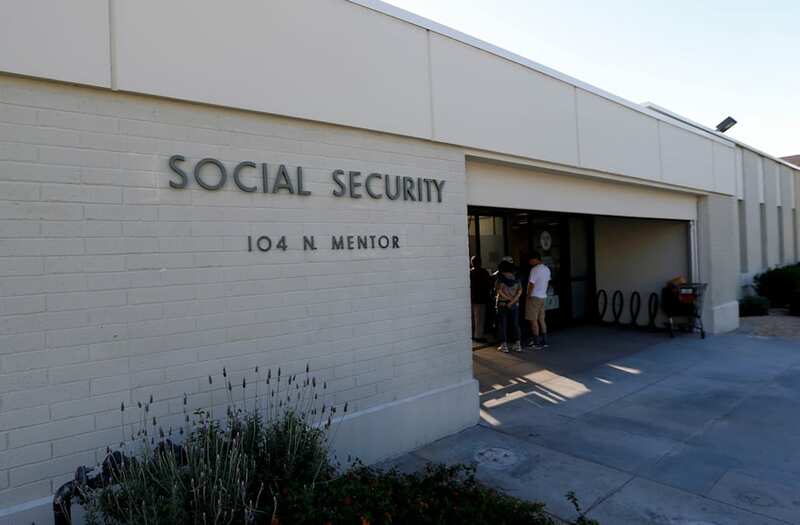 According to the latest projections, the Social Security Trust Fund is expected to run out of reserves in about 17 years, at which time across-the-board benefit cuts may be necessary, threatening the financial well-being of millions of American retirees. The good news is that there's still time to implement solutions that could fix Social Security and promote the financial security of future generations of retirees. As I've written before, Social Security is well-funded for the time being, but this isn't expected to last too long. Specifically, the program is expected to start running at a deficit in 2020, and continue paying out more than it brings in for the foreseeable future. According to a report by the nonpartisan Congressional Budget Office, or CBO, the long-term funding deficit is projected to fluctuate between 1.5% and 1.9% of GDP from 2027 through 2082. So, it's fair to say that the average annual deficit over the long run is expected to be about 1.7% of GDP. There are two ways to fix the problem -- raise taxes or cut benefits -- and there are dozens of options within those two categories. However, studies have shown that the vast majority of Americans of all ages, income levels, and political affiliations are opposed to Social Security benefit cuts in any form. Plus, according to the same CBO report, most forms of benefit cuts won't have much of an impact on the funding deficit all by themselves. Tax increases, by contrast, are not just a more popular way to fix Social Security among the American public, but several of the options that have been proposed have the potential to make a big impact on Social Security's funding problem. In fact, by making just two tax changes, Social Security's solvency could be secure for at least the next 65 years. The first change involves increasing the Social Security portion of the payroll tax. As it stands now, Americans pay 6.2% on all earned income (wages, salaries, and self-employment), up to a certain maximum each year. Employers match these contributions, so a total of 12.4% of salary is being contributed per worker (for most of us -- we'll talk about the exception shortly). By increasing the Social Security payroll tax by 2 percentage points on both workers and companies over a 10-year period, we could increase Social Security funding by 0.6% of GDP. In other words, the current rate would increase to 6.4% in the first year, 6.6% in the second year, and so on, until the employee and employer rates had risen to 8.2% of taxable payroll. The second change involves the Social Security wage base -- the ceiling above which annual earnings are exempt from the payroll tax. This is adjusted each year, and currently sits at $127,200. This means a person pays 6.2% into Social Security on all their earnings up to this amount -- if you're fortunate enough to to have earnings above this threshold, they're not taxed for the program at all. Eliminating this taxable wage cap altogether would add 1.1% of GDP to Social Security's revenue, bringing the total addition to 1.7% when combined with the higher payroll tax mentioned previously. And that, as you'll recall from the beginning of this article, is precisely the size of average annual deficit the program is expected to run. Here's the catch. If those changes are to fill the hole completely, we would have to eliminate the taxable wage base without increasing benefits. Right now, just as there's a cap on how much one can pay in each year, there's a cap on benefit levels to match. Presumably, many wealthier Americans who would be paying more into the system would want to get higher benefits in return, so eliminating one without altering the other is a policy move that might face significant opposition from the 6% or so of Americans whose incomes top that ceiling. However, it's worth pointing out that eliminating the taxable maximum while also increasing benefits would still help significantly -- but additional changes would still be required. You might expect that tax increases would be unpopular among the American public, particularly among Republicans and high-income households. However, when it comes to these hikes, that doesn't appear to be the case. According to a survey by the National Academy of Social Insurance, 77% of Americans feel that it is critical to preserve Social Security benefits for future generations, even if it means raising taxes. Among respondents, 81% agreed that they don't mind paying taxes into Social Security "because it provides security and stability to millions." This includes majorities of every age group, income level, and political affiliation. The bottom line is that with a couple of tax changes, we could return Social Security to long-term solvency, and they are moves that most Americans would likely be on board with. Given that the federal government is under Republican control, they may not happen within the next few years, but it's certainly a possibility that Washington will act before the Social Security trust fund is depleted. How Much Will I Get From Social Security if I Make $120,000?